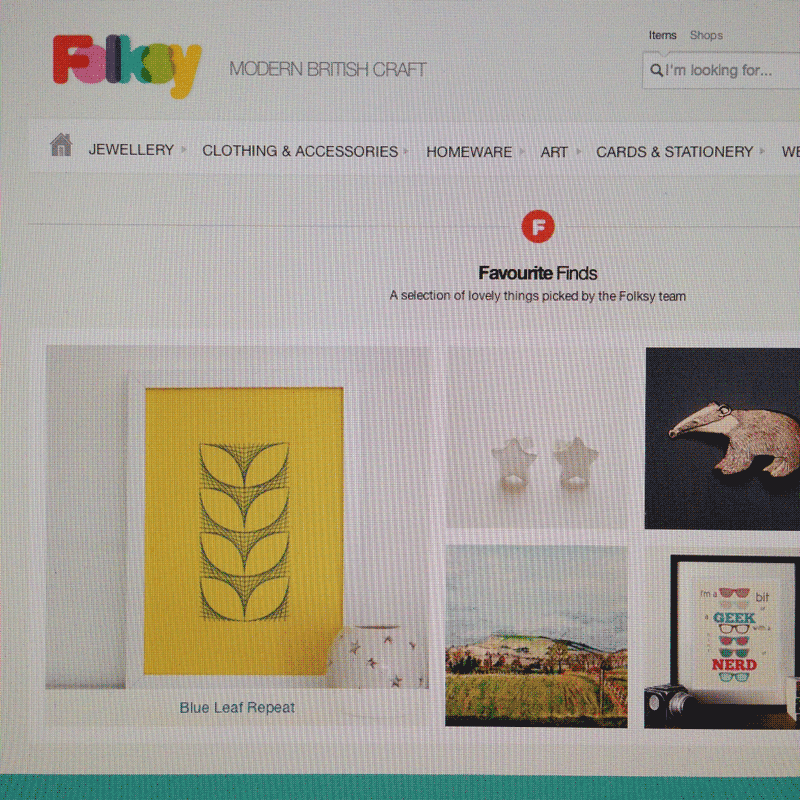 Folksy is a UK website that is dedicated to selling the work of British designers and makers. There’s some really great stuff on there (including my pictures now!) so it’s a brilliant place to find a unique gift, some great art and interesting clothes/accessories – all handmade. Here’s a link to my shop if you’d like to have a browse. If you want to buy something and can collect it from me in north Leeds (or it’s easy to arrange meeting up in the city centre) please still buy through the shop (and give me some feedback if possible!) but don’t actually pay online. That way I’ll get the order but you won’t need to pay the postage. First to go on sale through the shop are my curve-stitched pictures and I will be adding some drawings, prints and paintings in due course. 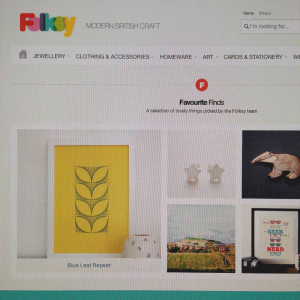 I was very excited to be picked as one of the Folksy teams’ Favourite Finds soon after opening the shop, and have noticed that I’m also included in their Scandi Homes Gift Guide! I’ve sold four pictures through Folksy so far and am really happy with this, especially as building an audience online is always going to a long-term project. I’d really appreciate likes/retweets etc. to help build this audience, so if you don’t already follow me on Twitter or like my Facebook page then it would be great if you could. Many thanks.